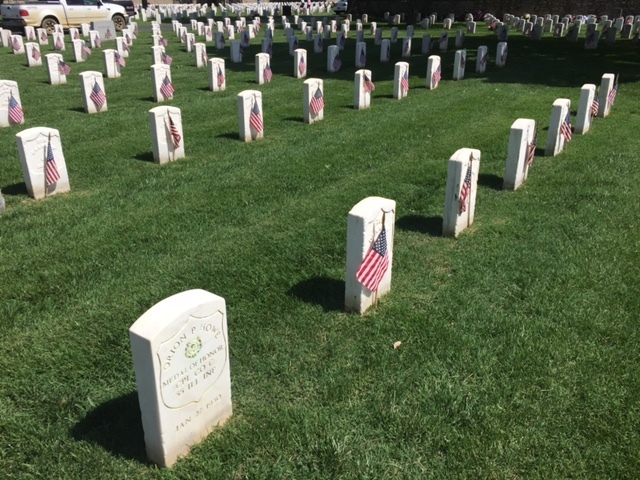 There I was the day before Memorial Day, walking through Springfield National Cemetery in southwest Missouri, paying my respects to the Civil War dead. It’s one of the few national cemeteries where men from both sides rest. 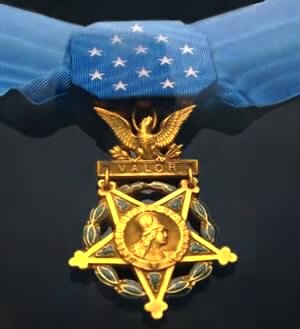 A Medal of Honor recipient in an obscure Ozarks cemetery? This merited investigation. And what I learned astonished me. Meet the Drummer Boy Hero. 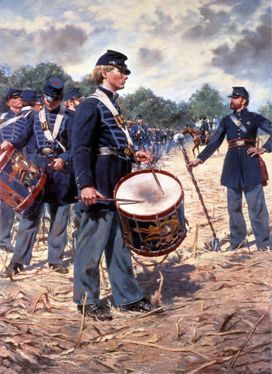 Drummer boys were iconic figures in the 19th Century military. While most regiments had one, they were giving way to buglers when the Civil War arrived. Technically, they were supposed to be at least 18. But enlistment officers often found loopholes or turned a blind eye to their much younger ages. Theirs was a hard life. They had to endure the same long marches that exhausted grown men. During battle, they removed the wounded from the field and later buried the dead. There were also several who, when duty called, rose to the occasion. Which brings us to Orion Perseus Howe. 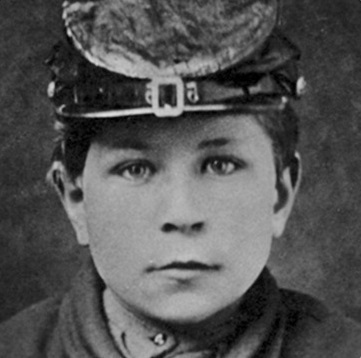 Only 12 years-old when the war began, he marched off with the 55th Illinois Infantry, where his older brother was also a drummer and their father (who’d been a drummer boy himself in the Mexican-American War) was the regiment’s band leader. The boy accompanied the 55th as it advanced into Dixie. By spring 1863 he was among the tens of thousands of soldiers General Ulysses S. Grant had amassed outside heavily fortified Vicksburg, Mississippi, whose powerful guns commanded the Mississippi River. 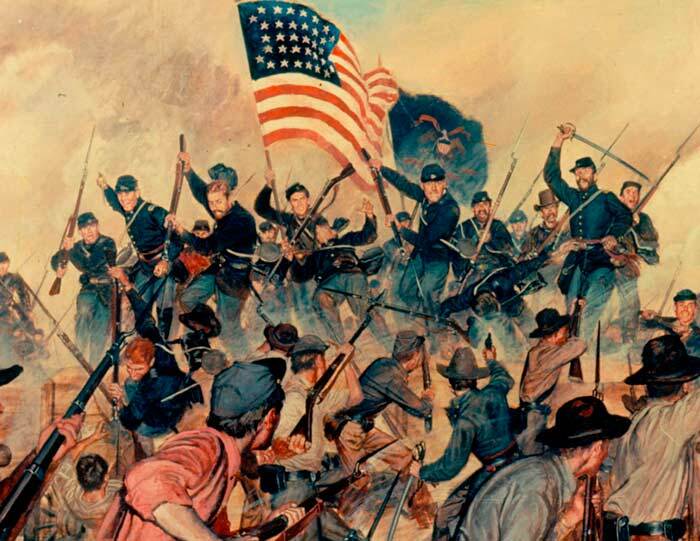 On May 19, Grant ordered a major assault on Vicksburg’s defenses. As the 55th departed camp, Orion promised his father he’d stay behind. As soon as his dad was out of sight, Orion rushed after his unit. He was 14 now and wanted to be where the action was. Then he realized there’d been a terrible mistake. The colonel had requested .54 caliber ammunition. Orion knew the regiment’s guns were .58 caliber. Fresh .54 cartridges would be useless. Just then, a Confederate bullet ripped open his thigh. Orion fell bleeding under the pitiless Mississippi sun. He had seen the other messengers go down (all were killed); as the only one left, he knew his comrades’ lives depended on him. When stretcher bearers eventually reached him, he refused to be taken to a hospital until he delivered his vital message to General William Sherman, who was so impressed with Orion’s heroism he mentioned it in his official report to Washington. Orion rejoined the 55th that December. 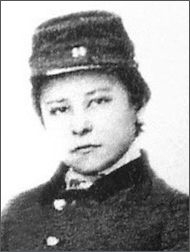 He fought in 14 more battles before mustering out in December 1864 – a combat veteran at age 15! By then word of his valor had reached President Lincoln, who appointed him to the U. S. Naval Academy (he was too young to attend West Point). 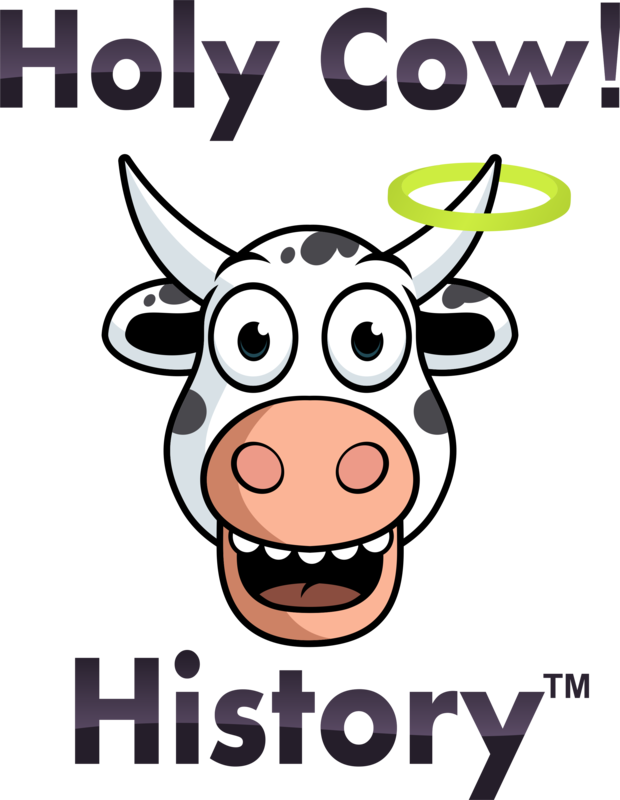 Something happened during his time at Annapolis and, although the exact reason is murky, he didn’t graduate. Orion died quietly in 1930. He had just turned 81. He rests today just as he did 150 years earlier, among his fellow Union veterans in a sleepy corner of the cemetery. His tombstone is like theirs, except for three simple words: Medal of Honor. Although it’s our nation’s highest distinction, those words don’t do justice to the extraordinary bravery displayed by someone who was still too young to shave. 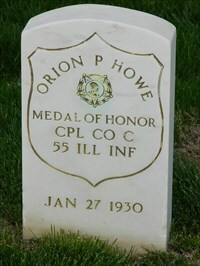 This entry was posted in American history and tagged Civil War, Medal of Honor, Orion P. Howe on June 4, 2017 by admin.